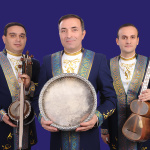 Compelling instrumental interplay and inspirational vocal improvisations from a skillful mugham ensemble. 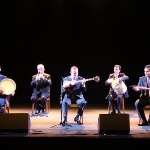 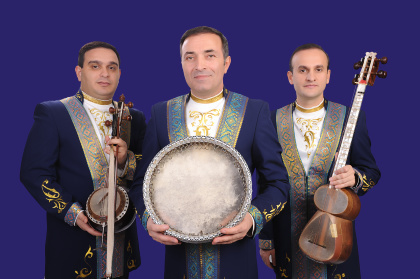 Mansum Ibrahimov & Ensemble Garabagh are leading performers of the complex traditional music style of Azerbaijan known as mugham and have represented it at concerts around the world. 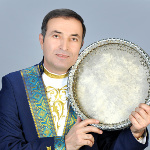 Mugham compositions are built around orally-transmitted collections of melodies and melodic fragments which the singer uses to carry narratives drawn from popular stories or classical Azerbaijani poetry. 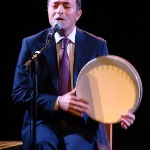 A key element is the ability of the singer to improvise according to the form of mugham chosen. 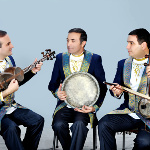 Mansum Ibrahimov is a master of the inflections and embellishments that mark a great singer of the genre and to witness the interplay between voice, percussion and the astonishing dexterity displayed by Elchin Hashimov on the tar and Elnur Ahmadov on the kemancha makes for a compelling, uplifting and unforgettable experience.